LG spilled the beans on the announcement and the name of the successor of the LG Optimus G Pro. The upcoming phablet will go official in February (MWC in Barcelona is likely) as the LG G Pro 2. 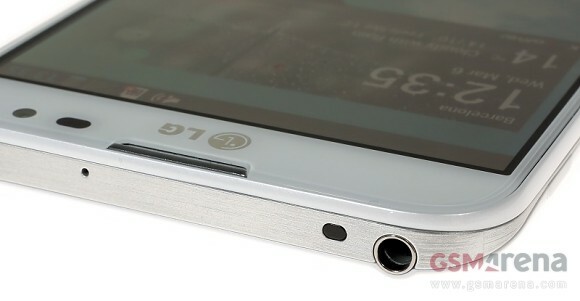 Unsurprisingly, LG removed the ‘Optimus’ moniker from the name of the yet to be seen handset. Like the latest batch of high-end smartphones from the Korean manufacturer, the device will launch as simply a member of the 'G' lineup. In case revealing only the name of an upcoming device appears to be an odd move by LG, we must point that this isn’t the first time the company pulls such a trick. Last year, the manufactuer revealed the name of its current flagship, the LG G2 in a similar fashion. No matter what i will buy this monster only one question.why cant lg use samoled .for displays....? Congradulations!!! You are still alive after getting a late update.